SB500, the supplemental appropriations bill, includes $100 million for school safety, over $600 million to address Harvey related expenses for public education, and $300 million to address the TRS pension. Statement from Senator Nelson: "As a former teacher, I want to ensure that our schools have the resources necessary to properly educate our students and prepare them for success. 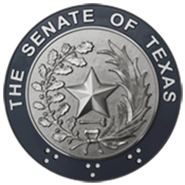 Education is the great equalizer, and we need to make sure all Texas students have access to a quality education," Senator Nelson said.